The digital professional mobile radio system TETRA is used by a wide range of users in almost all continents of the world. The OsmocomTETRA project has created a software radio receiver for the TETRA air interface, similar to what airprobe has done for GSM. 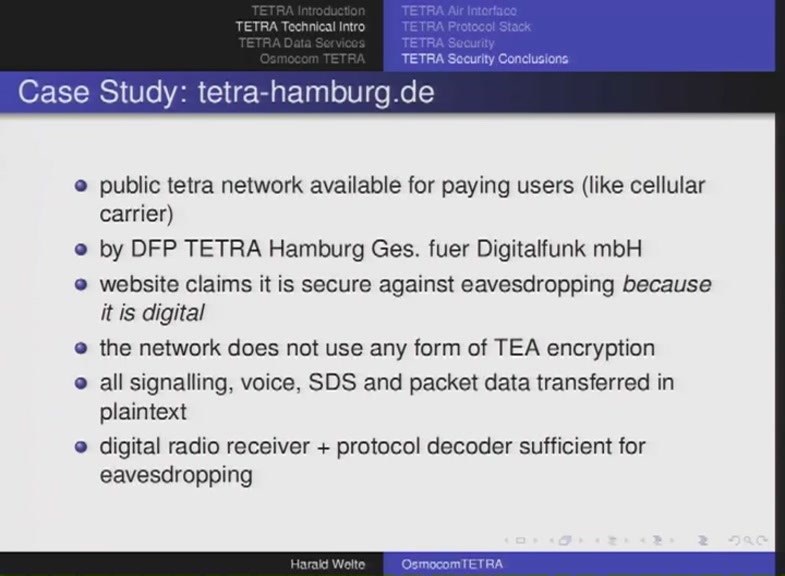 Using this receiver plus associated protocol analysis tools, we are able to investigate and research the security level of real-world TETRA networks.